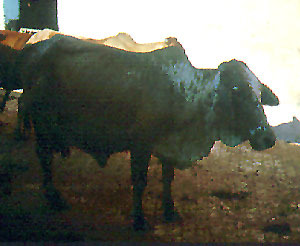 The Rathi is a Bos indicus breed used for draft and dairy purposes. It originated in Bikaner and Ganganagar in northwest Rajasthan, India. The breed is usually dark red or tan but occasionally spotted individuals can be found. The Rathi originated from the Sahiwal and Tharparkar breeds. 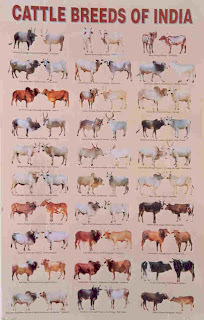 They should not be confused with the Rath breed which is a separate breed kept by the nomadic Rath cattle breeders.